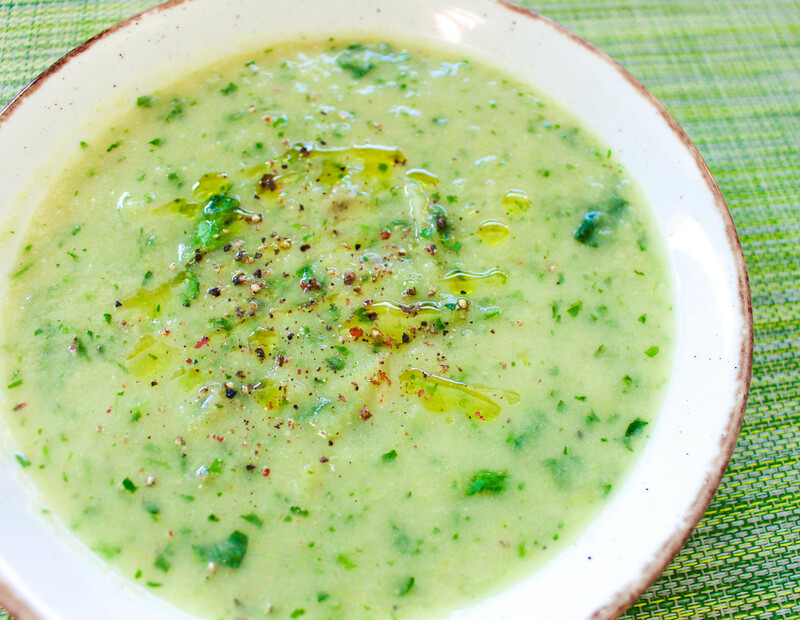 This soup gives the humble leek and potato soup a run for its money. The addition of watercress is not only aesthetically pleasing, it gives a nice subtle peppery note to the soup and as an added bonus its leaves are packed full of vitamin K.
In a large pan sauté the onion until translucent. Add the leeks and the bay leaf and continue to cook the leeks slowly, making sure they don’t burn or brown on the bottom of the pan. Cook the leeks in this way for about 15-20 minutes. Add the potatoes and the milk and then add enough water to submerge the vegetables. Add some salt and pepper and the stock cube. Raise the temperature of the hob to a high heat, remove any froth from the surface of the soup and then lower the heat to simmer for about 30 minutes. Using a stick blender, blitz the soup until smooth then add the watercress. Blitz the soup a bit longer but not so long that the colour of the watercress gets lost. Check the seasoning and serve.